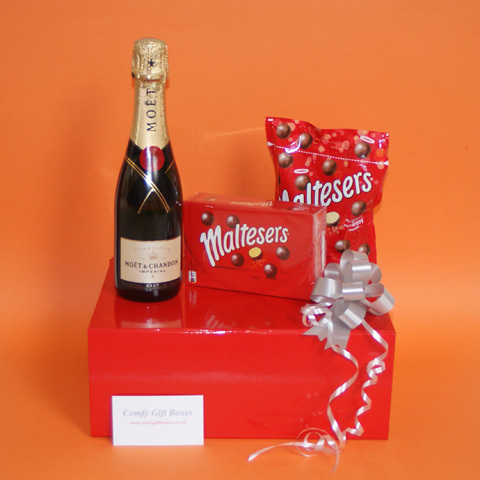 The bath and candle pamper gift with Maltesers® honeycomb chocolates and a Maltesers® hot chocolate drink is presented in a cream gift box with magnetic lid, it is lined with orange tissue paper before the pampering contents are added then the gift box is wrapped with an orange ribbon and finished with a cream hand tied double bow. 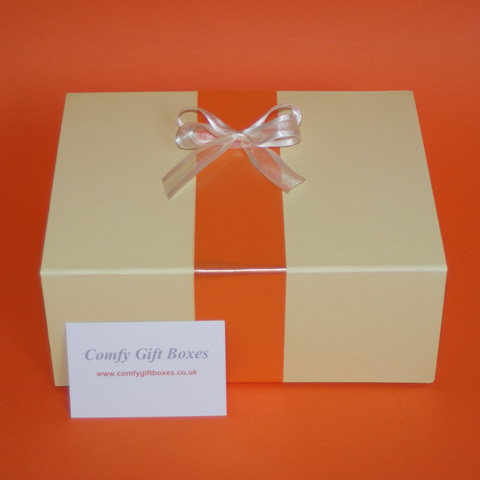 The gift boxes shown below are a great choice as a birthday present idea or a surprise pampering treat for her. 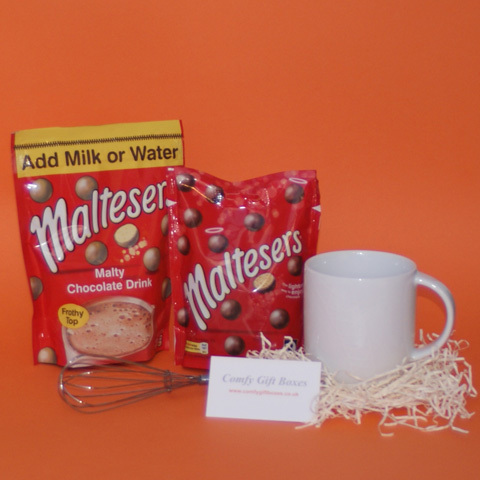 We have some other Maltesers® chocolate gifts to send to someone special if Maltesers® is their favourite and our bath and candle gift also comes without chocolate or with Galaxy® or Cadbury chocolate as well.